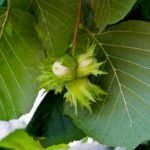 If you’re nuts about nuts, you might be considering adding a nut tree to your landscape. Nuts do very well anywhere where winter temperatures rarely fall below -20 F. (-29 C.). This makes growing nut trees in zone 9 at the southern range of the scale since you’re looking for hot weather loving nut trees. Don’t despair, however, as there are plenty of nut trees suited for zone 9. Read on to find out what nut trees grow in zone 9 and other information regarding zone 9 nut trees. What Nut Trees Grow in Zone 9? Nuts, in general, prefer deep, well-draining soil with medium to excellent fertility and a soil pH of 6.5-6.8. Beyond that, certain types of nuts require specific conditions. For instance, the aforementioned Chinese chestnuts thrive in acidic soils. If you want nuts of a particular type, you want to plant a sapling that has grafting from that particular rootstock. You can also start growing nut trees in zone 9 by planting seed. Just be aware that nut trees aren’t the fastest growing trees and it may take some years until they mature enough to actually produce. Pecans, a quintessentially southern nut, grow in zones 5-9. They can get up to 100 feet (30 m.) in height. These hardy nut trees need full sun and moist, well-draining soil. They flower in April to May, with nuts ripening in the fall. A smaller pecan, “Montgomery,” is also suited to these zones and its maximum height is only about 60 feet (18 m.). Walnut trees are also suited to zones 5-9 and attain heights of up to 100 feet (30 m.). They are drought tolerant and resistant to verticillium wilt. They thrive in either full sun or partial shade. Look for English (Juglans regia) or California black walnuts (Juglans hindsii) for zone 9. Both can grow up to 65 feet (20 m.). Pistachio trees are true hot weather nut trees and thrive in areas with hot, dry summers and mild winters. Pistachios need both a male and female tree to produce. A recommended variety for zone 9 is the Chinese pistachio (Pistacia chinensis). It grows up to 35 feet (11 m.) and is tolerant of drought conditions, grows in most any soil type and thrives in full to partial sun. That said, this type doesn’t normally produce nuts, but females will produce attractive berries that the birds love, provided a male tree is nearby.